This post is actually a recipe that I last made about a week ago. Usually, I try to post the day after I make a dish so that it is fresh in my head when I write about it but, as it always seems to happen, time got away from me last week. I am actually writing this post while I sit on hold trying to cancel a stolen credit card (a super fun Tuesday night, of course). I chose to post this recipe right now because it is a really comforting dish and I would so much rather be eating a big bowl of this chili than telling a computer exactly what my middle name is and where my mother was born just to prove I am a real person. Sometimes I just need some culinary comfort to get through the day! This chili is a great dish for that. I made this most recent batch on an unseasonably chilly night about a week ago and it was just right. In better news, this weekend was filled with hiking and exploring! 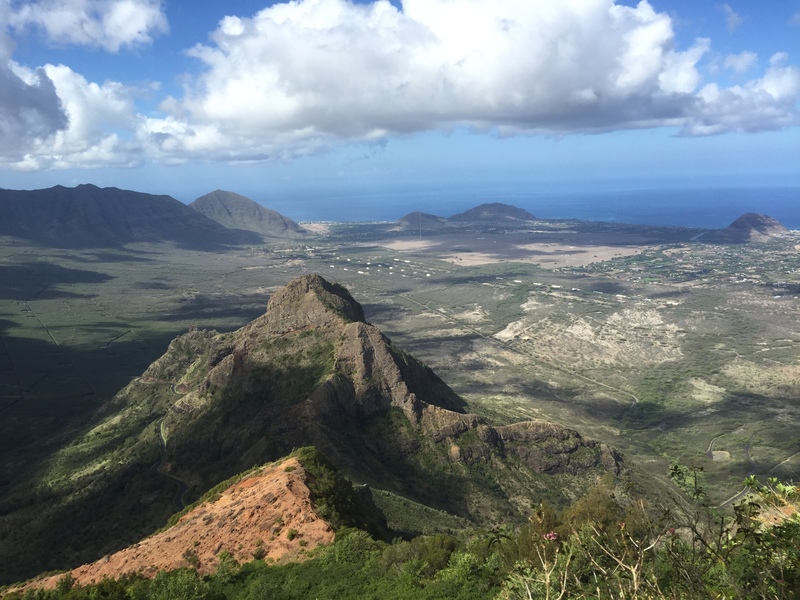 I managed to get in three short hikes over the course of two days. First up, Pu’u Kalena. Though a member of my hiking party got sick and we didn’t make it to summit, it was a stunning view and a great excuse to get outside. Roomie #1 has family visiting so Sunday was devoted to showing them the island. 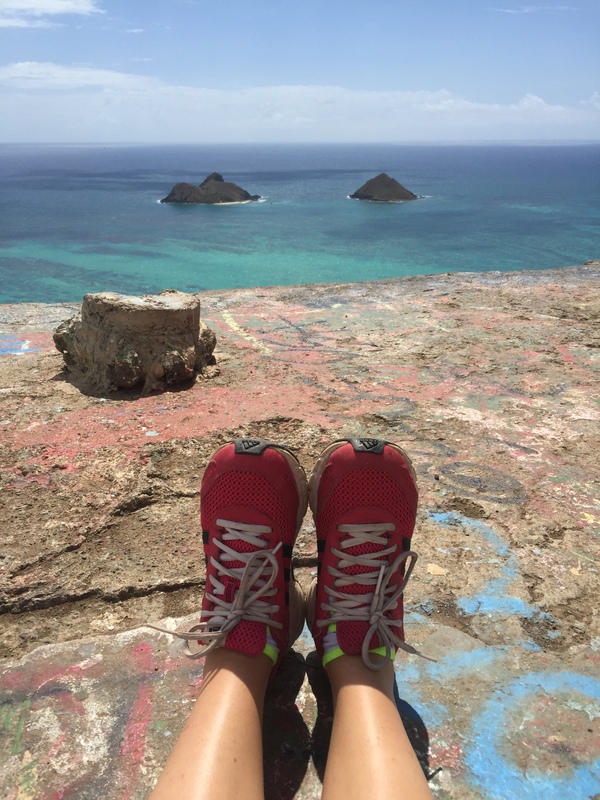 First stop, Lanikai Pillboxes. Then some beach. 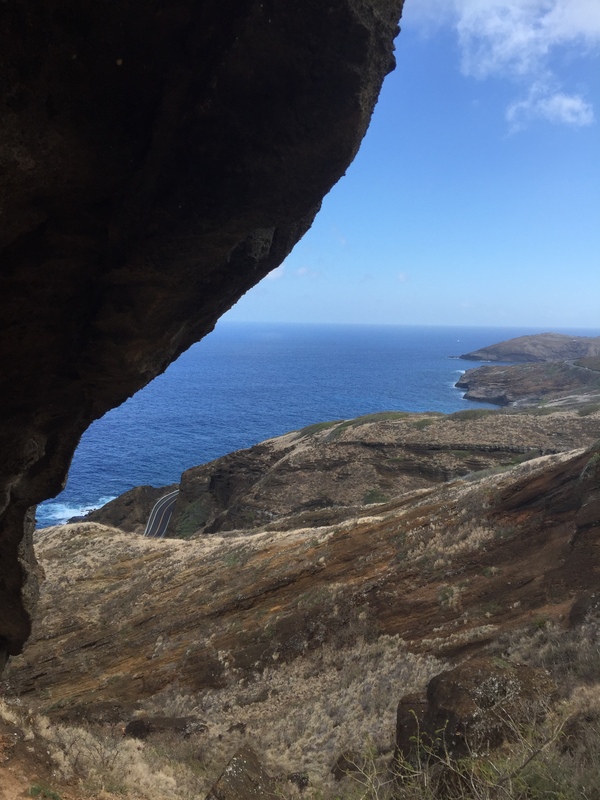 Finally, another quick hike up the Koko Head Crater Arch. It was exactly what I needed to get through the coming week. This chili is a great option to fuel any adventures you may go on. It is an easy dish to make a lot of and keep in the fridge for the next day. It just gets better as the flavors meld together. Top it with some tart lime and cilantro for a fresh kick. You could very easily make this a vegetarian dish by just swapping out the beef for a meat substitute or just more beans.